Mild chillies with a good flavour. 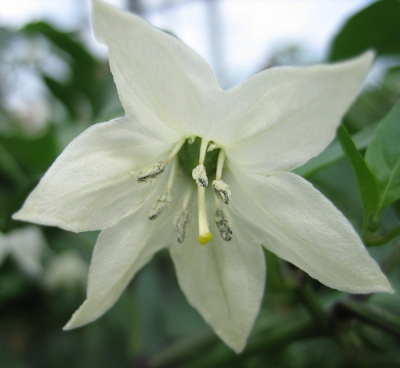 Plants start cropping when fairly small, but continue growing to make a medium sized bush by the end of the season. The dark mahogany red colour of the dried fruits make this variety very popular for ristras. 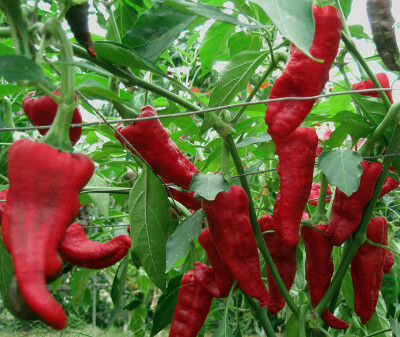 Chimayo crops very early and ripe chillies can be harvested well before any other variety. 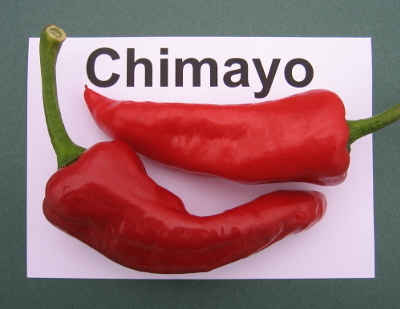 The chief culinary value of Chimayo chillies lies in their earliness. Although the flavour is good, the skins are very tough which limits their usefulness.